How can you travel smarter in 2018? 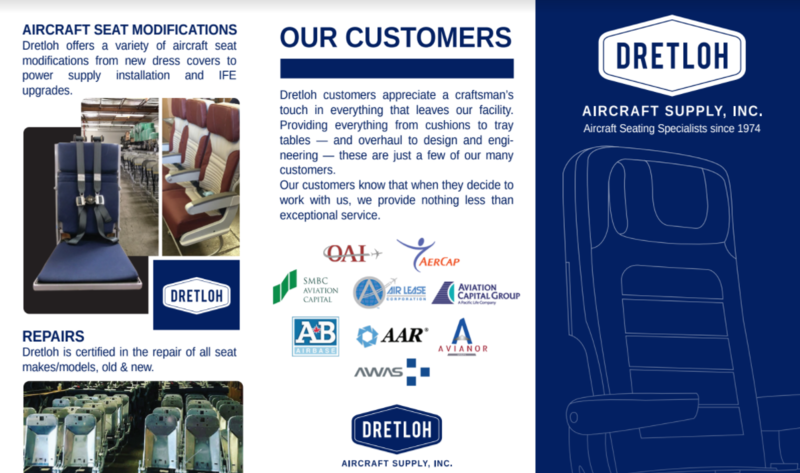 At Dretloh, we take great pride in our knowledge of aircraft seat refurbishments and overhaul. We’ll take our expertise to the next level and go through how to travel smarter in 2018 including knowing how to select the best aircraft seat and more tips below. We’re loving all the privacy partitions and suite designs that are trending in the business class aviation world these days. Some of the cabins are turning into all-aisle access with the 1-2-1 configurations, like the one featured above for Virgin Australia. Other business class cabins that feature more privacy include British Airways’ enhanced cabin with fancier meal service and quilted mattress pads. Further, we’re almost positive that Singapore Airlines’ “Suites” class takes it to a whole new level by offering their double bed on their A380 aircraft that’s easily enjoyed by one or two passengers. Bulkhead seats or emergency exit row seats are the best when booking in economy class. Even if you have to pay a small fee to upgrade or prebook, be sure you locate these roomier seats on your specific aircraft. In our last article, we mentioned the latest in visionary concepts from the Spanish technology firm, Renacen. The company will be introducing a virtual reality seat layout which allows passengers to view the aircraft cabin before boarding their airplane. In the meantime, use SeatGuru to see the airplane seat maps for your next getaway. For personal reviews, check out your specified route by visiting RouteHappy.com. If you’re a frequent traveler, you already know about the airport lounges and possibly how to access them. There are a variety of options here and many ways to get in, but something we’re particularly interested in is the fact that more and more airports are building lounges. Also, the lounges that have already existed are getting major face-lifts and improvements just like the American Airlines Flagship Lounge pictured above at Miami International Airport. The offerings include gourmet foods, open bars, complimentary high-speed internet, relaxing chaise chairs and more. If you visit the airport often you can see where this becomes incredibly valuable and cost-effective. In 2018 and forward, pre-flight travel options are transforming the way we travel and the choices are endless. Many airlines are introducing new commercial aircraft to their fleet. The competition between Airbus and Boeing is fierce in 2018. On ultra-long-haul flights, be sure to opt for the Boeing 787 Dreamliner or Airbus A350 which are the two most progressive planes for combating jet lag. Both aircraft lower the equivalent altitude within the cabin by at least 2,000 feet and maintain more passenger-generated humidity. Selecting one of these aircraft for your next 15-hour flight may just help you breathe easier and feel better when you arrive at your final destination. Airlines are adopting many new technologies to streamline the boarding process and simplify our travel lives. One of the ways they are doing so, is through a facial-recognition technology called “biometric e-Gates.” British Airways has already been testing this technology on international flights to speed and secure the boarding process. Another way we are seeing technology enhances in 2018 is through new innovation. On our blog earlier this month, we featured Our Top 8 List of the Crystal Cabin Awards and shared the winner of the newest category in IFEC or In-Flight Entertainment & Connectivity. The platform is called “Bluebox Accessible IFE” and it helps visually impaired passengers with barrier-free access to in-flight entertainment. So, will you use these resources to travel smarter in 2018? We hope so! Tweet to us @dretloh and tell us about your experience!